The mountains surrounding our gentle valley are shrouded in smoke. Plumes of dark smoke are floating out of valleys and the world has taken on a sickly pallor. The days have been very hot and dry. By evening, dragons settle on mountain tops and blow hot winds upon us. High up along a long ridge, flames roar, shaped like the jagged teeth of a dragon. High they reach, billowing into clouds that launch into the heavens. The wild season of forest fires is upon us, once again. Only the cooling rains and mists of September will tame them. The last hazy days of summer are letting us know that the next season is waiting in the wings. It is the last hurrah. One day in the near future, a cool weather system will fan out across our valley, bringing with it the crisp, crystalline air of fall. From that point on, our days will change. Summer will be over. My days have been taken up with trimming hollyhocks, deadheading daisies, and gathering roses. It is a simple joy to have a vase of multicolored roses on our kitchen table. The fragrance is intoxicating. I relish my roses all the more knowing that before long all will be covered with snow. They will sleep through the long winter and I will leave my gardens and retire to my studio. Once again, life will morph into the next phase. With the arrival of fall comes sapphire blue skies and flora clothed in their brilliant attire. Life is snapped back into focus and those hazy, hot days of summer become a memory from which I draw warmth during the long, dark days of winter. I am thankful for the warm days just as I am thankful for the days of falling snow. I have learned that I simply can not grump and be thankful at the same time. Whenever I decide to be grateful for whatever the day brings, the sun shines in the recesses of my mind. Often I am humored by this simple awareness. But then again, I am easily amused and endlessly laugh at my own folly. Once again, I am reminded to always keep an eye out for beauty, wherever it may reside. In this ever changing world it can be difficult, but it is there none the less and can be found....if one peers closely. As I strolled through my gardens, of late, a thought came drifting into the caverns of my mind just as mist spreads its tender fingers through a forest. The flora I have planted here and there is maturing to the extent that next year I will have to do some relocating. Plantings that I thought would never expand have gone ahead and enlarged themselves to the extent that they are infringing on their neighbors. Once again, I have the pure enjoyment of mixing colors and textures in a pleasing way. It is the way of an artist. The execution is constantly fluid and full of surprises. Serendipitously, without too much thought, I imagine where this plant and that plant will live. However, when the musings of my heart give way to the intellectual musings of my mind, I hesitate. The joy flees. Analytical thinking definitely halts the creative process and I literally forget where in the world I am going to put everything. At times, actual fear and doubt creeps into my thoughts. With this comes the realization that I have never been afraid and happy at the same time. Nor have I been content and afraid at the same time. Peacefulness escapes me. This transition takes place in the blink of an eye and always takes me by surprise. But, sadly, while it is taking place I have not a clue what is going on. My very own intellectualism appears to be very deceiving. After musing on this for a while I realize that my human intellect is very easily fooled into false pretenses. It would be safe to say that many who pride themselves as being intellectuals are really kidding themselves, and all who surround them. They convince themselves and all who are within "pride-distance". Perhaps it is most wise to follow ones "gut feelings" after all. These are the the affairs of the heart and there is no room for pride in those little proddings that float in from where the Spirit of God lives. Or perhaps it is simply the whisperings of an angel; one who is sent from above. The hot, dry winds of August are with us. Losing its freshness by afternoon, the air appears hazy with the warmth. All around my valley realm, the mountains are brown and golden. Summer's heat is taking it's toll and the fresh green lushness of late spring and early summer have retreated into the neutrals that are common for this time of the year. Summer is flying away right before my eyes. I am already thinking about the fall season and making plans for that lovely time of the year. Recently, I have noticed the sun angles changing, creating shadows that lay longer to the north. My serendipitous cottage gardens are voluptuous with seed. 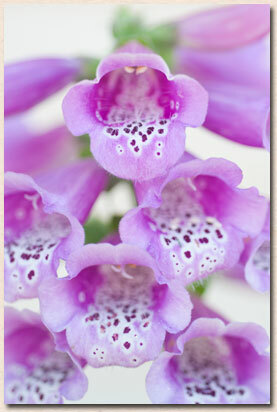 I have staked up hollyhocks, delphiniums, and foxgloves so that their seed will be spread wherever it may. Of course the talk of the neighborhood is my use of nylon stockings to tie up plants. But nylon stockings work wonders in not harming the plants all the while holding them upright. As I carefully prune away some of summer's glory, the seeds give off the sounds of maracas being shaken. Hopefully, next spring will yield a proliferous abundance of plants and flowers. Slowly, ever so slowly all the bare spots will be filled in and my planned flower gardens will appear very un-planned. The change of seasons bring with them a rhythm that flows along at their own pace. Living in a place of sameness perhaps would be too smooth and too easy. The changes bring a bit of a jolt to my life and wake me from a sense of drifting. There seems to be time for everything and perhaps that is one of the secrets to true contentment; the ability to adapt to all of the challenges that life throws at us. The "fun factor" comes into play with not knowing what is coming right around the next corner.